Last week we discussed Katy Perry and Nicki Minaj’s new song “Swish Swish” and how it’s probably about their feuds with Taylor Swift and Remy Ma, respectively. 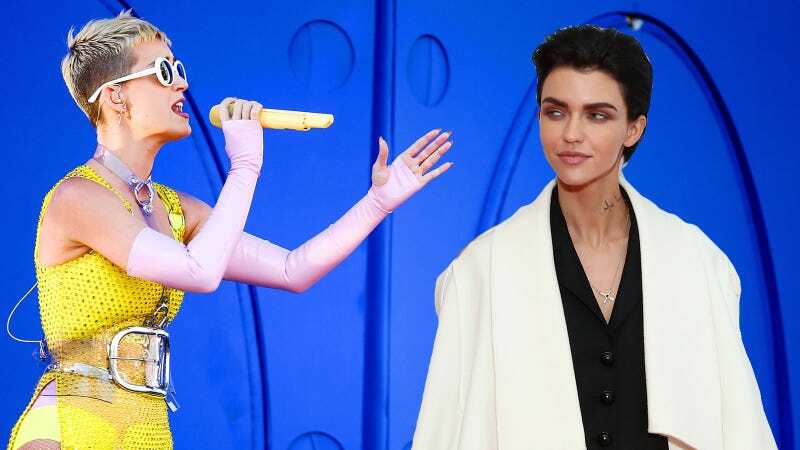 We also discussed how Swift’s Very Close Friend Ruby Rose thought it was “low” of Perry to release a diss track despite her claims to be into more “purposeful pop.” Today (thank heavens) we have an update to both sides of the story. Here’s the short version: Katy won’t confirm whether or not the song is about Taylor, Ruby regrets getting involved, and Nicki probably already forgot “Swish Swish” exists. Being mean doesn’t suit me and leaves me feeling dirty. Truth is being mean leaves more leaks in your camp than the titanic and I get so triggered when I think bullies don’t get held accountable and it makes me think I should say something...I have always believed strongly that Karma exists and the truth always surfaces however I’m not god and I can’t decide when or how that is. Clearly comes from being bullied in school & wanting to stick up for the underdogs. However I shouldn’t stoop because then the msg is mixed. So who’s the bully here, Taylor of Katy? Or are they both? All I know for certain is that Ruby Rose is not god. Iggy Azalea released a terrible new song last week that had the misfortune of being named “Switch” (which led to easy jokes like “Swish swish, Switch”). In addition to the effects of a poorly chosen name, the song went through another bit of bad luck over the weekend when an unfinished version of its music video was leaked online. Idolator reports the video was a work in progress, and Iggy is understandably bummed. She isn’t sure if she’ll feel comfortable releasing it at all, in fact. But while I feel for her, I don’t know why she explained all of this...on Snapchat...using a mouse filter that altered her face and voice. Kris Humphries and I have one thing in common.